So I was in Pasteur's the other week and I saw this lone little tuck of Sputnik blades amongst hundreds of other blades. $1.49 for a tuck of 5. Oh, this should be good for S! 'ts, and Giggles so I picked the pack up and sent one to my friend on another thread who is doing a series on bad blades. He gave them an excellent review. I just had to try. Now my go to blades are Polsilver SI, Bolzanos and Feathers. with a dabble with Kia and Persona Reds. I tell you these blades were incredible and now my must have blade .. The Perfect balance of sharpness for me and nothing I have tried smoother. At least with my Blackbird. The story is these are owned and made by Gillette in Russia. 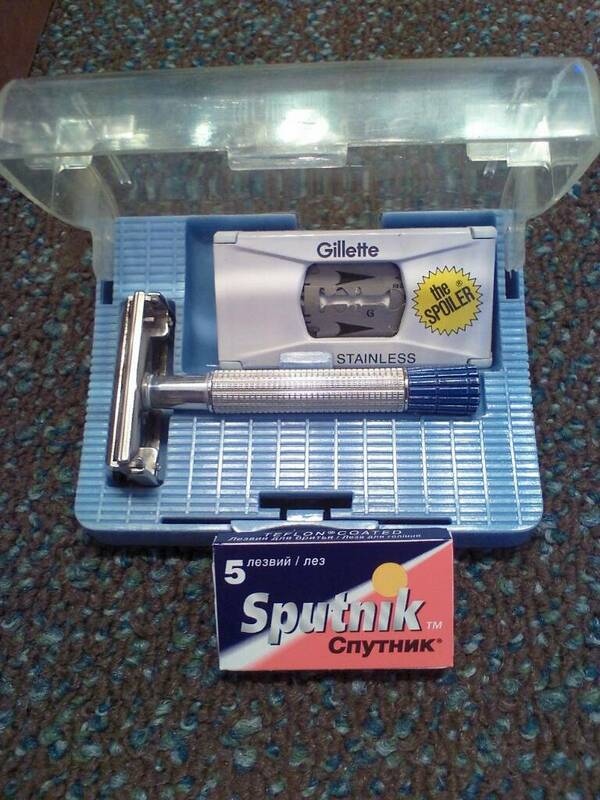 Found mainly in Russia as the everyday day blade of those that shave with DE. I just took down a bunch on Amazon for $12.99 per 100 with free prime shipping. I am tough on blades so I hope to be able to get 3-5 shaves per blade so I am good for a while. Let me know if anyone else has some thoughts. (12-04-2018, 07:12 AM)Sharps Wrote: So I was in Pasteur's the other week and I saw this lone little tuck of Sputnik blades amongst hundreds of other blades. $1.49 for a tuck of 5. Oh, this should be good for S! 'ts, and Giggles so I picked the pack up and sent one to my friend on another thread who is doing a series on bad blades. He gave them an excellent review. I just had to try. I've been using Sputnik blades for quite a while, never had a problem with them. They are up there with my other Russian Gillette blades. hey going to Pasteur's on friday to scrounge thru the half price wonderful shaving products. now i will have to try sputnik as well.